Made with coated metal for outdoor application, these swing hangers can be used on climbing structures for safe, bolt-through attachments for swing components. These hangers are compatible with a variety of Solowave Design playsets. The Can-it-be Telescoping Square Sandbox Canopy easily transitions to an attractive cover with the flip of a few levers. When used as a canopy it provides cooling shade and protects your child's exposed skin from harmful UV rays. When used as a cover it protects the sandbox from rain and debris, or from being used as a litter box by neighborhood cats or other animals. The domed construction prevents water pooling which can help prevent a mosquito breeding ground. The 4ft. x 4ft. square canopy & cover integrates with any 4ft. x 4ft. square Frame It All sandbox. The telescoping poles insert into the stacking joints at each corner of the sandbox. Canopy is fully collapsible for easy storage if required. Sandbox not included. 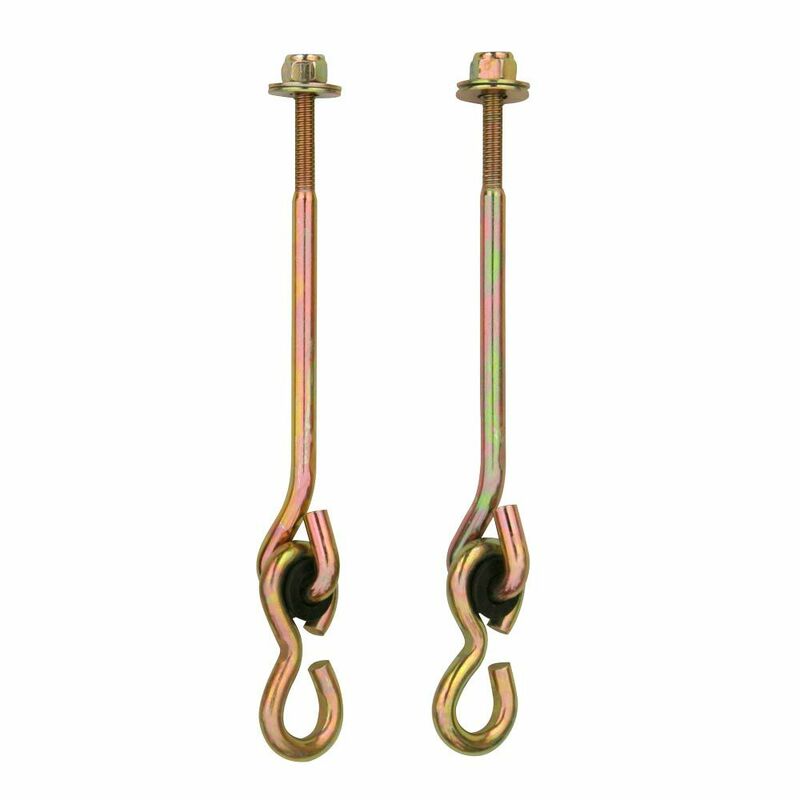 Swing Hangers Made with coated metal for outdoor application, these swing hangers can be used on climbing structures for safe, bolt-through attachments for swing components. These hangers are compatible with a variety of Solowave Design playsets. Swing Hangers is rated 4.0 out of 5 by 3. Rated 5 out of 5 by AC from Product came quickly and was easy to install on my kids swing set! Product came quickly and was easy to install on my kids swing set! Rated 4 out of 5 by KB from They are a bit less than the 6 inches stated, therefore the 4x6 beam which is really 5-1/2 inches... They are a bit less than the 6 inches stated, therefore the 4x6 beam which is really 5-1/2 inches high lmakes installing the hanger a problem. I had to drill a 1 inch hole 3/4 inch deep on the underside of the beam to sink the hanger in enough to get a good bite on top with the nut.